Home/Should I see my GP or a Chartered Physiotherapist? This is a question that often gets asked by patients but the answer isn’t clear cut. There are benefits to seeing either of these health care professionals. Either health care professional will be able to identify your condition and give you a diagnosis. Either health care professional will be able to advise you if your condition is indeed musculoskeletal in nature and to give you advice on its management. Either health care professional can arrange for onward referral to a consultant or for a scan or further investigation if necessary. GPs are expert across a wide spectrum of illnesses, whereas chartered physiotherapists, in private practice, are generally specialised in the area of musculoskeletal injuries. If you’re uncertain whether your pain is from a musculoskeletal source you’re better seeing your GP first, although a good chartered physiotherapist should pick up on this fairly quickly on initial consultation. Generally, if your pain is not adequately controlled you’re better served seeing your GP. A chartered physiotherapist is likely to want to do some treatment that will cause some momentary pain or discomfort to you. If your pain is not adequately controlled in the first place you’re trip to the physiotherapist may be wasted. If, on the other hand, your pain is relatively well controlled, or you feel that you could tolerate some treatment from a physiotherapist, this is probably a good option. 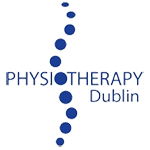 Chartered physiotherapists in private practice spend the vast majority of their time treating musculoskeletal injuries and become experts in this field. If you’re fairly sure your pain is musculoskeletal in nature (i.e. from a muscle, joint, tendon, ligament, etc.) and your pain is under control see a physio. If you’re uncertain whether your pain is musculoskeletal in nature (i.e. from an organ, related to side effects of other medications that you may be taking, associated with other symptoms etc.) and/or your pain is not controlled see your GP first.